Gambusia at Kenilworth Aquatic Gardens, Washington, D.C. The return of the summer rainy season has provided a reprieve from dangerous drought conditions, but also heralds the return of thick swarms of mosquitos. In an effort to combat the blood-sucking insects, on June 2, Hillsborough County Mosquito Control officials will be giving residents free gambusia to place in pools, retention ponds and fountains. 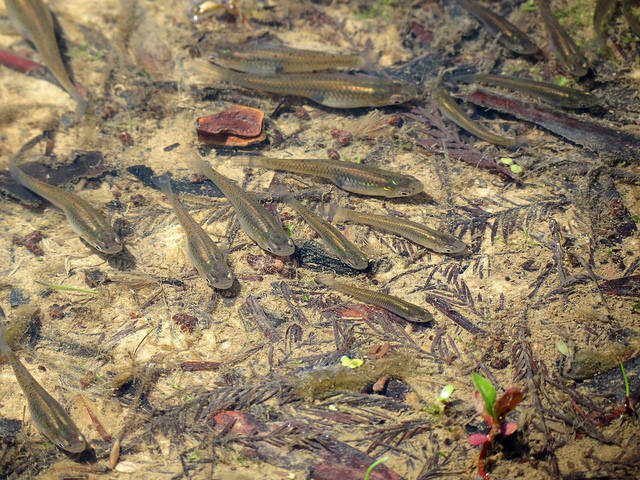 Also known as “mosquito fish,” the gambusia are voracious consumers of mosquito larvae and they’re a favorite fish of News-Press storyteller Amy Bennett Williams. Aside from their utility in mosquito control, the tiny fish can also be appreciated for their aesthetic, as Williams tells us in this week’s essay.